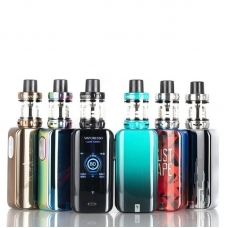 Vaporesso LUXE Nano 80W Starter Kit with SKRR-S Mini Sub Ohm Tank gets more compact design than Luxe Kit. It is powered by 2500mAh built-in battery, capable of 80W maximum output. Crafted With 1.3inch TFT touch panel, Luxe nano is very comfortable and easy to operate. The vibration-enabled buttons will not let you down and will provide tactile feedback you expect from high-tech devices. OMNI Board 4.0 chip enables you to achieve ultimate experience. With 0.001s firing speed, it will bring you rich flavor and denser clouds. 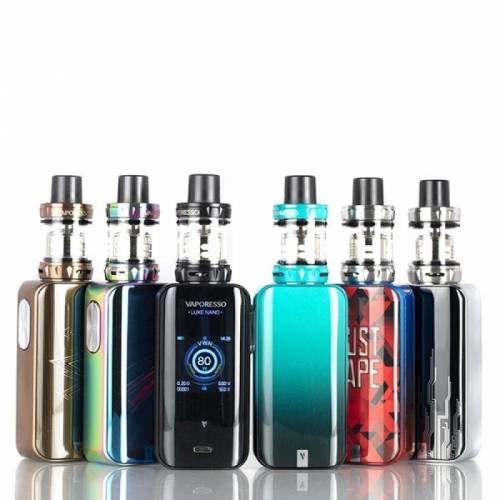 And equipped with Vaporesso SKRR-S Mini tank, it will provide you excellent vaping experience. The VaporessoSKRR-S Mini tank uses innovative QF coil to achieve exquisite experience by keeping cold drafts out. With top fill system, you can just screw off the top cap and refill liquid very conveniently.